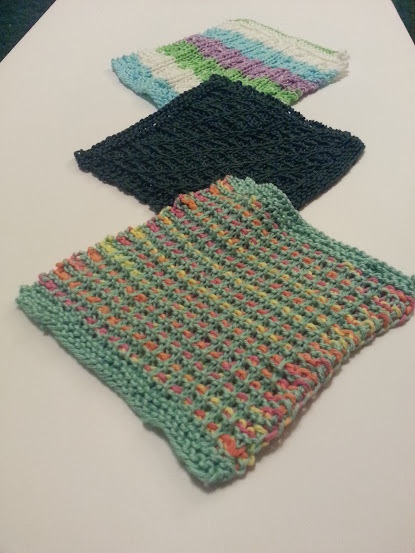 Leah's Knits: Washcloths! Armwarmers! Hat! Way back in November my mom mentioned that she wanted a hat for her birthday and sent me a few pictures off of Pinterest, and then we didn't speak of it again. I was so excited to make her a matching set of hat and armwarmers, because she still talks about and uses armwarmers I made for her in 2007. Out of acrylic. When I had been knitting for only a few months. I wanted to use higher-quality yarn and show off what I can do! The hat was quick and easy, and the armwarmers were easy and fun once I figured out that the picot edging wasn't ACTUALLY picot and was creating by hemming! 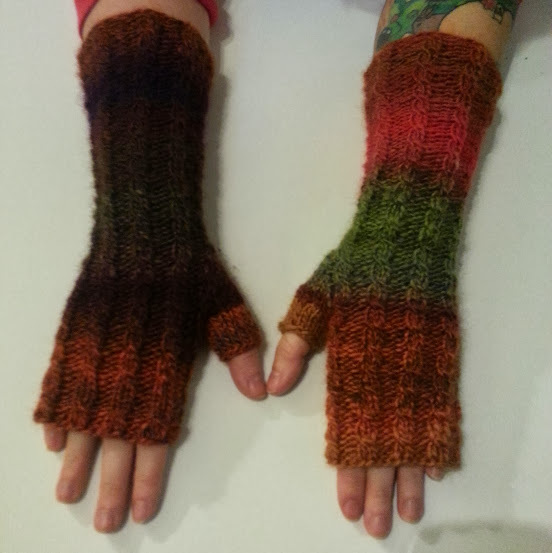 The gloves turned out a bit bigger than I had hoped, which was sort of a given because the pattern called for a lighter weight yarn than I was using. But still. Gorgeous pattern. Close-up of the picot effect and the simple lace pattern. 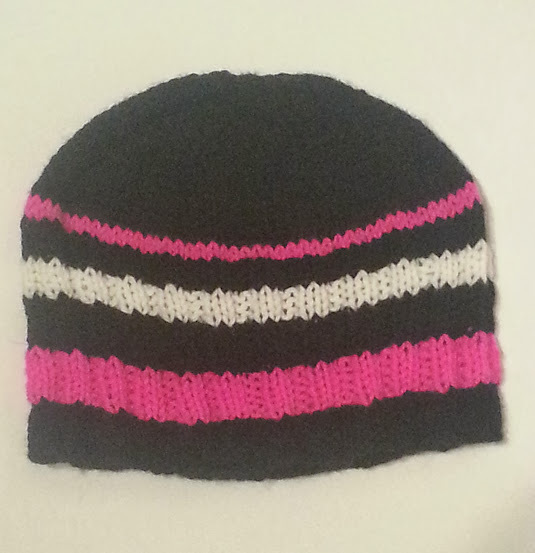 I used a cutely titled pattern called A Little Twist and made some adjustments. 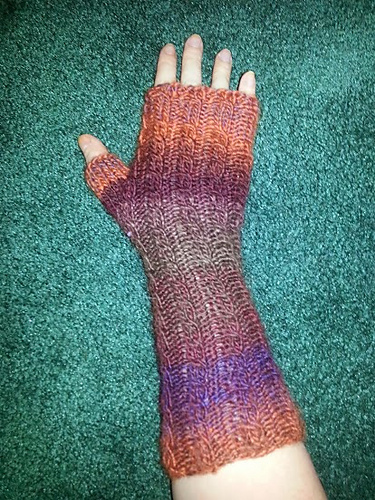 First, I made them longer on both the arm and the hand, and second, I didn't bind off the thumb gusset to leave a hole, but kept the stitches on a separate needle and knit partway up to help keep her thumb warm. 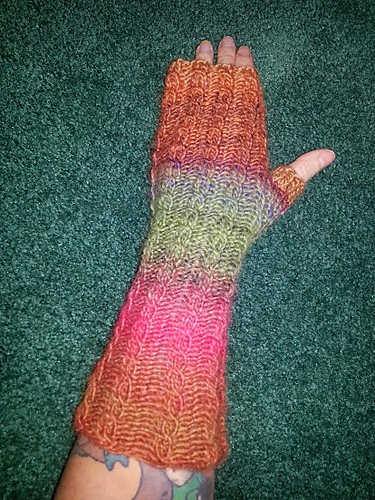 Finally, my grandma requested TIGHT gloves, so I only used size 7 needles for the first 6 pattern repeats and then switched to size 5s for the rest. The cabling really is nice. It adds a fancy touch with minimal work, and it breaks up the monotony of ribbing. And finally! I bought the Spring 2014 issue of Creative Magazine because the scarf on the cover is simply divine, but I'm not monetarily ready for that kind of commitment so I paged through until I found a quick project: a set of three washcloths. What a perfect use for all my random cotton! Front: Slip-stitch pattern using some KnitPicks yarn and Peaches & Creme. Middle: A really fun washcloth with some fancy yarn I bought from my LYS (can't remember the brand but it's luscious and soft) that has a diagonal pattern, and finally, Peaches & Creme with a cabling, which took the longest and I hated doing it about a quarter of the way through. I ended up giving all of them to my mom because she said she loves hand-knit washcloths (no idea!) but I'm currently making another of the front washcloth because they are SO FUN. Now I think you're all caught up! Happy knitting!